Best advice to new artists going forward? The best is advice is if God gave you something, don’t let it go, you must follow your idea. A cool fact about you and your art, what you create. 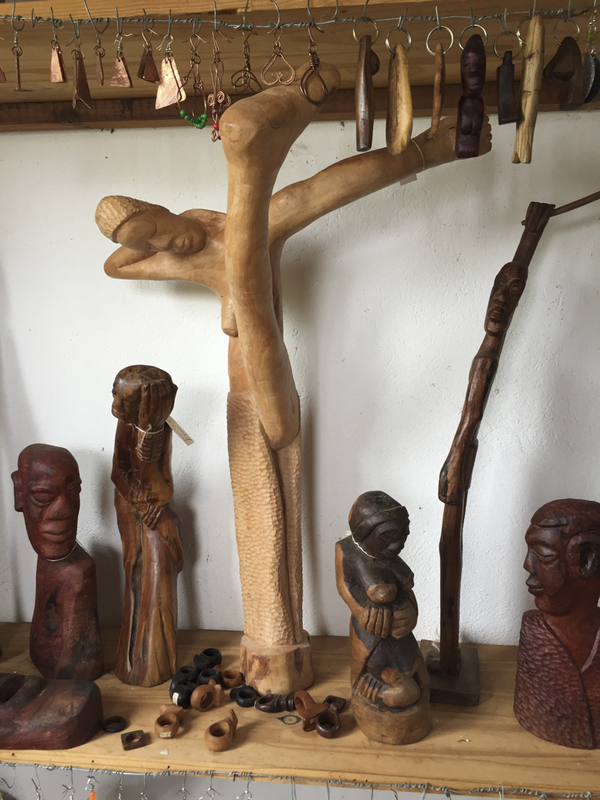 One day when I was on the way to Thohoyandou, they were selling the wood to sculpt, I was already working in soapstone. I thought, I can do that, asked them and they said you can’t do that. (He started sculpting in wood). And when someone bought his sculpture, that is when he really started his craft in wood. How long have you been an active artist? Since I was 25, so that’s about 30 years. Shamelessly ask for advice. Ask questions from other artists whether the answers might seem obvious or not and as much as possible. Most will be generous with what they’ve learned and their resources. I am a pure distillation of my mother and father in ways they would not recognize. My mother being a creative recycler, and would have been a great engineer in another lifetime and my father was a great craftsman, (although he never mentored me). Between the two of them, and how they spent their lives and things I inherited are purely a result of my artwork.